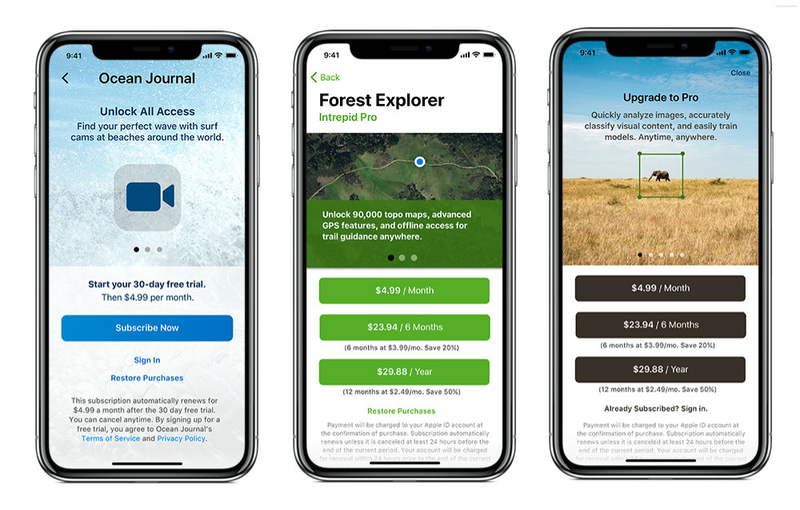 Apple updated its App Store guidelines last week to lay out clear rules for how developers should present in-app subscription options to users. The changes were spotted by 9to5Mac, and it appears Apple is trying to clear up a lot of the confusion that comes with downloading an app and signing up for a recurring subscription. Alternatively, promotional pricing, including monthly and yearly savings, should be written less prominently. For example, Tinder advertises its Gold and Plus subscriptions with monthly prices for its six- and 12-month subscriptions, but it requires users to pay up front for their subscriptions in full. As for free trials, developers must clearly indicate the price billed once the trials are over, as well as the renewal terms. Although there are now clear rules on how Apple expects apps in the App Store to present subscription options, it’s to be seen how closely Apple will enforce its own guidelines. Though the App Store is more strictly managed than Google’s Play Store, scammy apps that trick users into making in-app purchases have managed to slip into the marketplace before. Still, the Google Play Store lets users cancel subscriptions easily, which is a lot more than the App Store can say. Right now, most apps only offer the ability to cancel subscriptions through an option hidden deep within Settings —> iTunes & App Store —> Apple ID —> Subscriptions. Ideally, now that there are clear guidelines on how companies can sell subscriptions to users, Apple can go one step further and let companies offer the option to cancel subscriptions within the apps themselves, as there currently isn’t a way for developers to include this option yet.